Luxury travelers and millennials are loving the more personal feel that a boutique hotel offers, being known by name after check in, being more interactive with the staff and surroundings. A boutique hotel is small in size — less than 100 rooms in most cases, but more than 10. Anything less than 10 is considered a bed and breakfast. The question is, do you want where you stay to feel personal? Or are you fine with being an observer? Luxury travelers and millennials are loving the more personal feel that a boutique hotel offers, being known by name after check-in, being more interactive with the staff and surroundings. People crave the attention and one-on-one service they get at smaller, more quaint hotels in an ever-changing busy world of high-tech travel, laptops, screens, texting and virtual work environments. People crave the attention and one on one service they get at small quaint hotels. 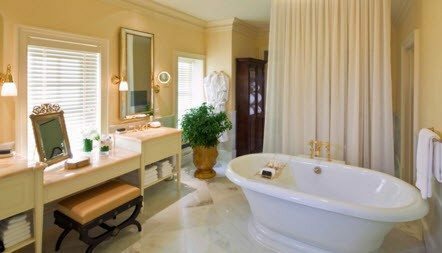 Boutique hotels are either independently owned and operated, a boutique brand of a larger hotel label or a boutique wing of an larger existing hotel with its own reception desk, lobby and decor. They have a feeling of exclusivity; the elite stay here, or people feel like they are in a one-of-a-kind experience. Guests are catered to more personally and therefore have a quality experience that is much needed and wanted. The decor is modern, cozy, cafe-style in some cases, colorful, chic, but also reflecting the location’s heritage. Who is driving the change? 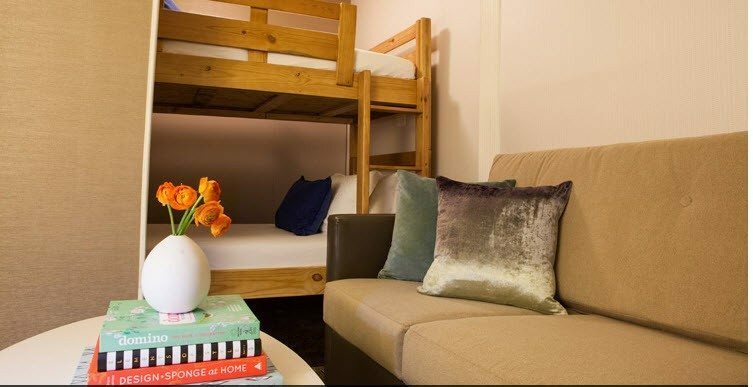 Driven by millennials and the need for a closer community feel, niche market hotels help visitors get to know the people, art and culture of a city. Washington, D.C. was ranked no. 24 and Northern Virginia was no. 32 on the city growth list from the (ULI) Urban Land Institute’s Emerging Trends Report for 2016. Although the metros are not in the top rankings, of all 75 markets ULI analyzed, D.C. was no. 1 in a very key category: millennials. A whopping 38.2 percent of DC’s residents are between 16 and 35 years old, more than Manhattan (35.5 percent), Brooklyn (31.7 percent) and Austin (31.7 percent), the next-best markets. 38.2 percent of DC’s residents are between 16 and 35 years old. The commercial price index shows that most of the investments in commercial real estate, including the new upswing of boutique hotels, comes from private equity and foreign money. One of these foreign investors Lantian Development, a Chinese-founded development company, has plans to spend $100 million in real estate in the Maryland, D.C. and Virginia region. 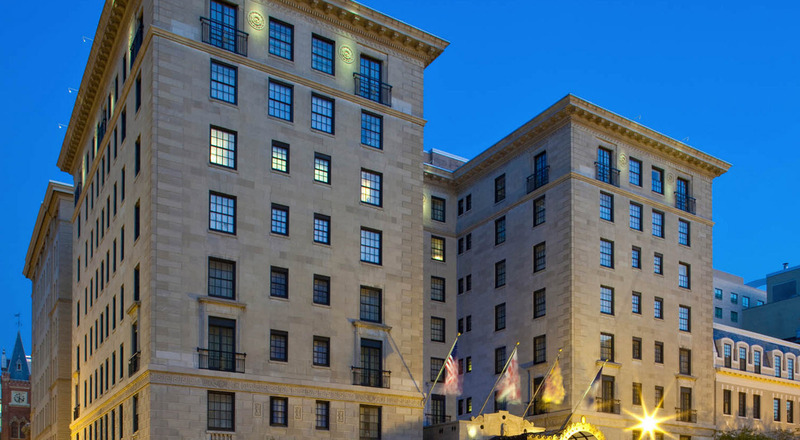 Style: Set in a 1926 beaux arts building, this posh luxury hotel is 0.8 miles from the White House. Rooms and Amenities: 24-hour butler service, a fitness center and a spa. 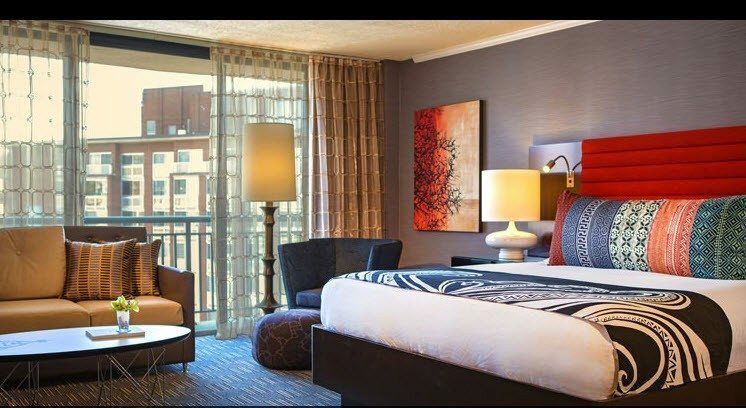 The sophisticated rooms and suites feature traditional furnishings, flat-screen TVs, 24-hour room service and free WiFi. There’s also an opulent fine-dining restaurant, a breakfast and lunch venue under a skylight, and an upscale bar with terrace seating. The Jefferson is one of the top 10 hotels ranking from US News & World Report’s Best Hotels in the U.S.; it has been listed on Travel + Leisure’s World’s Best list for Small City Hotels, and the Jefferson received mention as the only hotel in Washington, D.C., on Condé Nast Traveler’s Top 5 U.S. Business Hotels. Style: The hotel is named after John Hay, who served as a personal secretary to Abraham Lincoln, U.S. Ambassador to the United Kingdom, and Secretary of State under both William McKinley and Theodore Roosevelt. 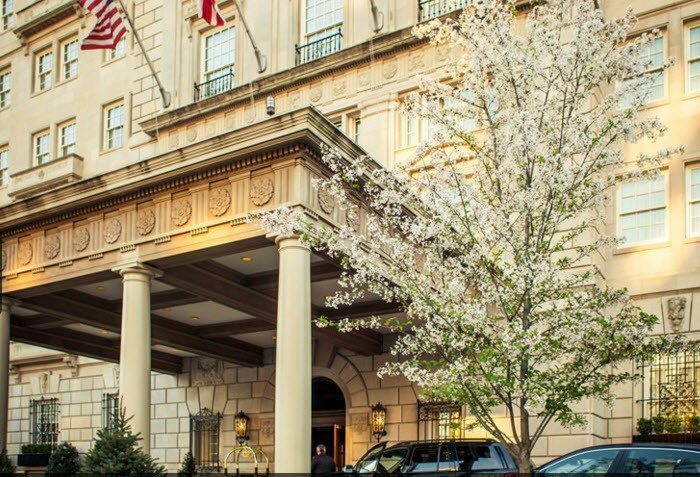 Originally designed and built as a residential hotel in the 1920s, this boutique hotel in downtown Washington, D.C., has the distinct presence of a private mansion where guests can retreat. 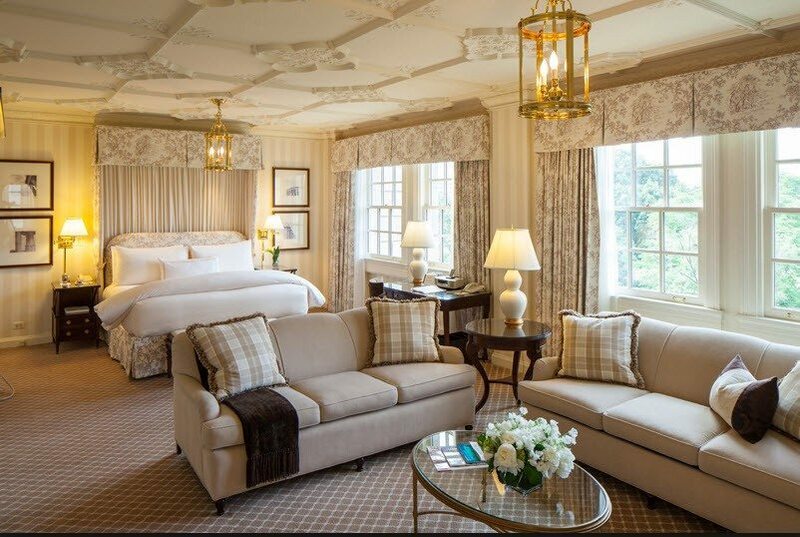 Rooms and Amenities: The hotel has 145 guest rooms, including 21 suites, plus renowned restaurant The Lafayette, and one of the Forbes-ranked World’s Best Hotel Bars, Off the Record. Round-the-clock room service with a choice of full meals and light refreshments is one sought-after amenity from travelers who come from all time zones to stay. The Hay Adams also has event rental space for executive functions, weddings and more. 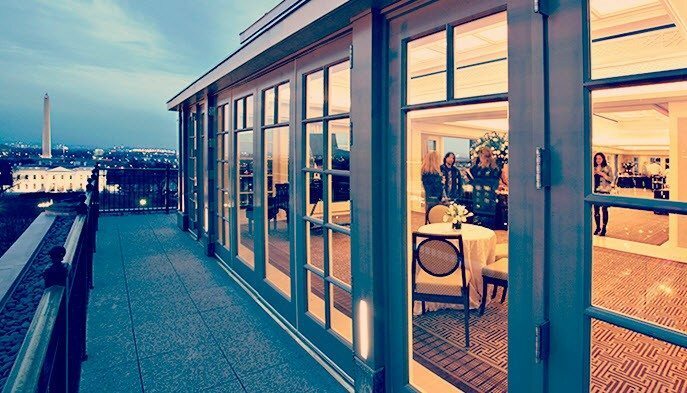 Style: A contemporary Kimpton eco-friendly hotel in Dupont Circle was awarded the 2015 Certificate of Excellence by TripAdvisor. 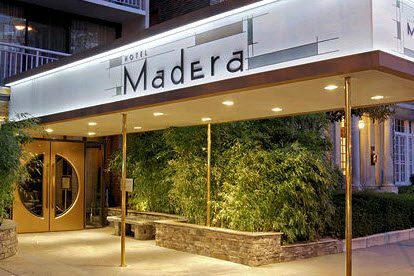 Hotel Madero allows you to live green without sacrificing modern comfort by using non-toxic cleaning products, recycled paper, energy-efficient light bulbs and eco-friendly hybrid vehicles. Rooms & Amenities: A unique and accommodating hotel on all levels supporting guests with disabilities, public bikes for guests, yoga mats in each room, food at the Firefly Restaurant, Free high speed WiFi, wine hour every night, in-room spa services, a business center, meeting spaces and valet service. The hotel has a number of pet-friendly and family-friendly amenities and features as well.